We make sure to always offer the best prices and deals for our loyal customers. Our commitment is to our customers, therefore, we will always negotiate the most affordable and convenient prices for you. 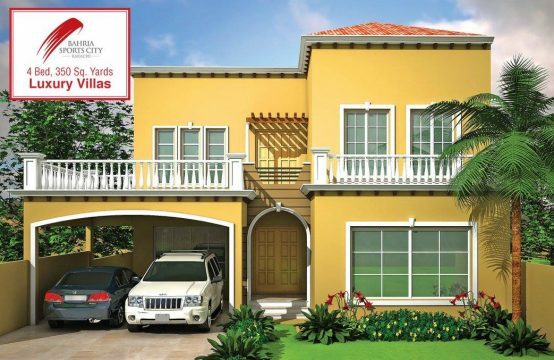 The most luxurious and comfortable homes await you with a deal from Haroon’s Estate & Builders. We guarantee your dream home with all the great facilities of Bahria Town. The fastest growing property brand in Pakistan, Haroon’s Estate and Builders, is on a pursuit to not only provide the most sought after property deals to our customers but to also educate them about the real estate market and in-demand properties such as Bahria Sports City Villas. We are at the forefront of providing you the best housing deals and relevant bahria town karachi news 2018. Properties we deal in, like Bahria Apartments, are not only loved by the public for their exclusivity but also their affordability. Haroon Estate, along with offering you attractive prices, also helps you deals with owners to arrange the best rates in town! We believe in serving our customers with the best possible quality, which is why we are officially associated with Bahria Town. 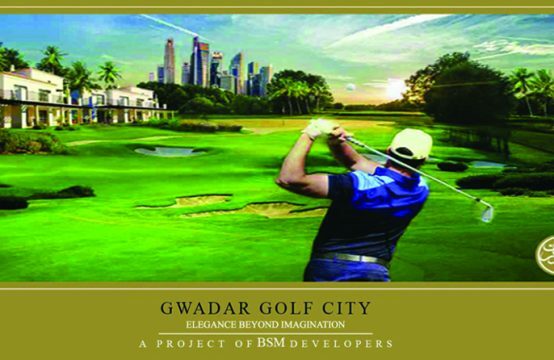 These super luxurious properties like Gwadar Golf City reflect the brand identity of Haroon’s Estate with and Builders because, for us, nothing matters more than providing our customers with the best possible product where comfort and reliance is the priority. Properties of Haroon’s Estate provided at the best rates are available at the latest Bahria Town nationwide projects. Properties such as Bahria Homes personify this vision. 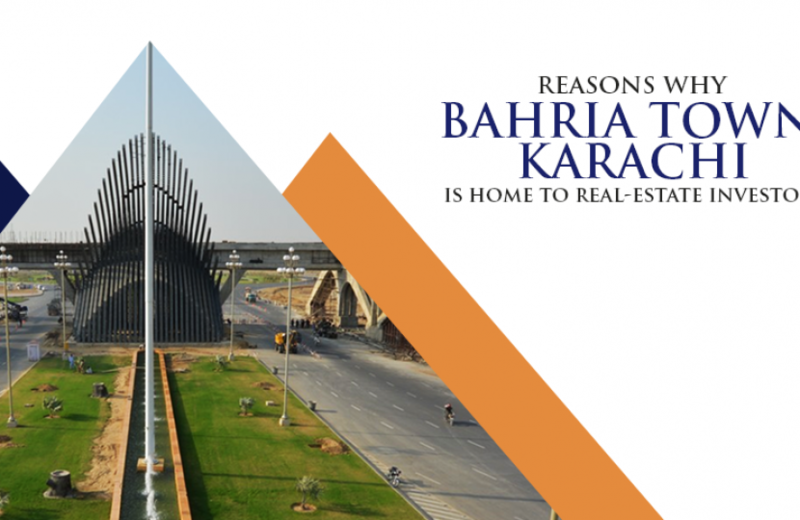 Being Bahria Town’s Karachi authorized dealers, we are approached by thousands for consultation and with our undisputed services, we turn those doubters into loyal customers. From Farmhouses and Commercial Hubs to special Bahria locations such as Bahria Golf City Karachi and Bahria Orchard, Haroon’s Estate and Builders have played an instrumental role in selling the best Bahria town Karachi prices. You simply can’t say no to a property deal as convenient and grand such as those offered by Haroon’s Estate and Builders! Bahria town Karachi dealer’s help you with the latest pictures to know about the on-going development of properties like Bahria Paradise and Bahria Sports City among many others. Being one of the most respected real estate dealers in Pakistan, we are trusted by thousands of satisfied customers because we commit to what we have to offer and what we offer is the nation’s best real estate deals! Bahria Town serves to be the best investment property across Pakistan and we rightfully claim so because of the specialties that it brings along with the fact that it is the most sought after mega housing project in the country. 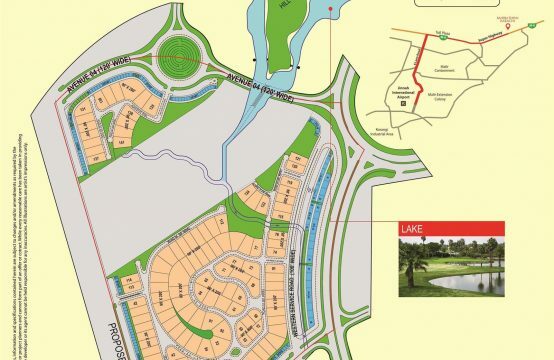 This mega project is equipped with innumerable amenities and facilities within its boundaries which any person looking for a house or a commercial property would focus on before coming to a decision of making any sort of purchases or investments. Among the many notable facilities of Bahria Town Paradise and the other Bahria Town projects come the un-matchable amenities they offer. From luxurious housing apartments to high standard neighborhood and International level security arrangements, Bahria Town’s projects in Karachi, Lahore, and Rawalpindi & Islamabad are surely the best luxurious residential options for locals. 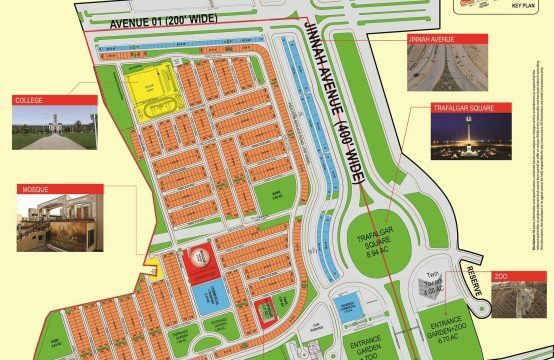 Everything in the boundaries of Bahria Town is extraordinary and exquisitely over the top. Hospitals, parks, schools, colleges, universities, medical stores, shops, and malls you name it. Bahria Town has all the important factors in its boundaries and the dwellers of Bahria city would not have to get out of the confines of Bahria Town to reach any of these places from their houses. You can even sell your property through Haroon’s Estate without any trouble. The fact that has made Bahria Town Pakistan whopping success in the real estate world in Pakistan is that this project comprises not just residential and commercial plots and the necessary facilities along with them but also many imposing sights in the form of breathtaking Monuments and other attractions such as Bahria Town Dancing Fountain, Tauheed Square, Gateway of Bahria Town, Trafalgar Square, Eiffel Tower, Ahram-e-Misar, Safari Villas Zoo, Bahria Grand Hotel and Resort, Exquisite Restaurants, Cine Gold Cinema many others come in the list of maps. 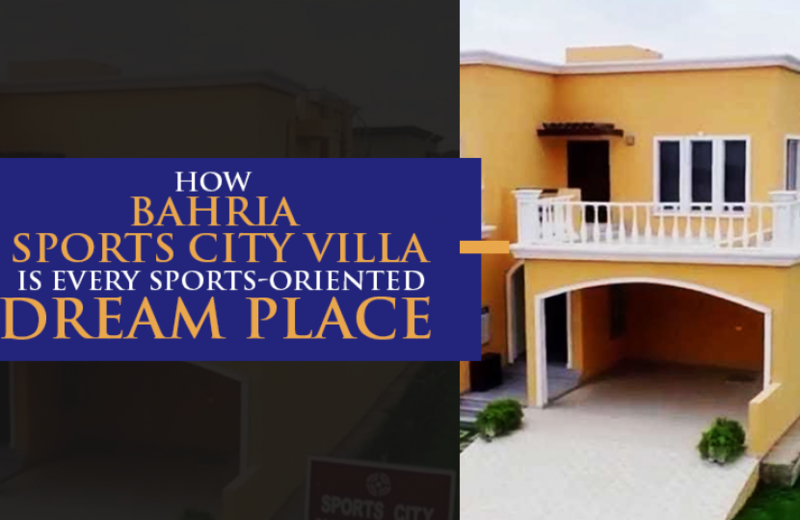 Bahria Town has a Sports city of its own by the name of Bahria Sports City. This brilliantly architected sports city in the boundaries of the mega project is an address where leisure and thrilling action come together in much peace. This place is the perfect refuge against the worries of the world where one can come and make peace with the thrills and excitement while having their adventure shoes on. The excitement begins right at the doorsteps of the ginormous city of sports from where you can allow the fun take over and lead you on. Featured with an extensively unique and different design with excessively modern architecture, a great amount of sports facilities, this city has all the potential to allow the visitors have the time of their life. 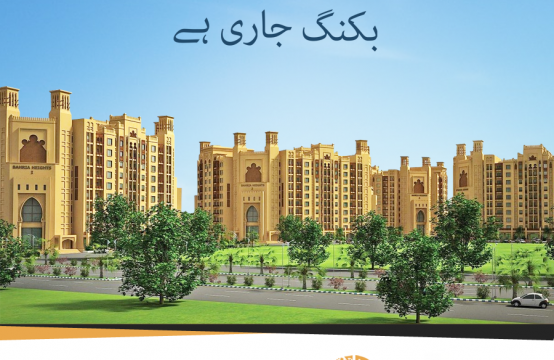 Buy your dream property in any of Bahria Town projects now! 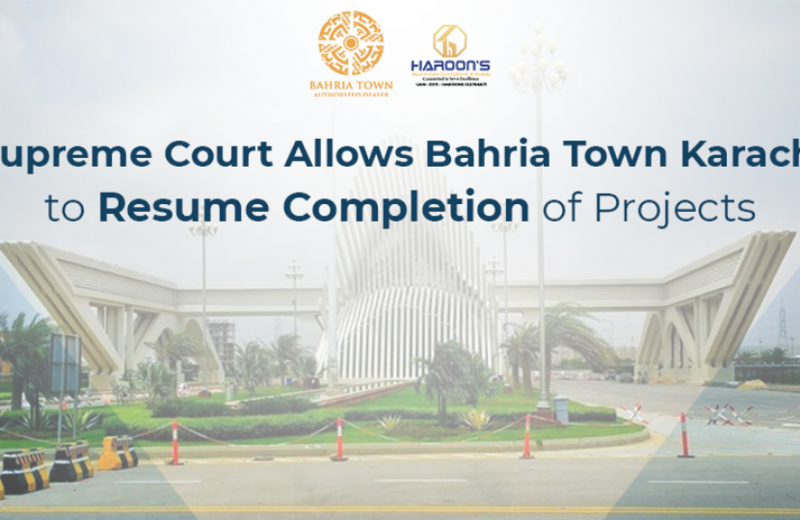 With all these world-class projects, Bahria Town is consistent in providing good services when it comes to cleanliness and maintenance. These things are often overlooked but they are very important as these things also determine the value of your property considering it is surrounded by them. The association that Haroon Estate and builders, one of the most trusted Bahria Town Karachi Dealers, has with Bahria Town is solely based on the reason that this real estate project delivers the value proposition it promises to provide to its customers. To know more about Bahria Town, you can contact us via our email address and our team will get back to you. Bahria Town Karachi, which has proved to be the best residential and commercial project in the premises of Karachi city. Owing to its modern amenities and luxurious amenities, the project of Bahria Town Karachi has been a great success and its future looks even brighter. 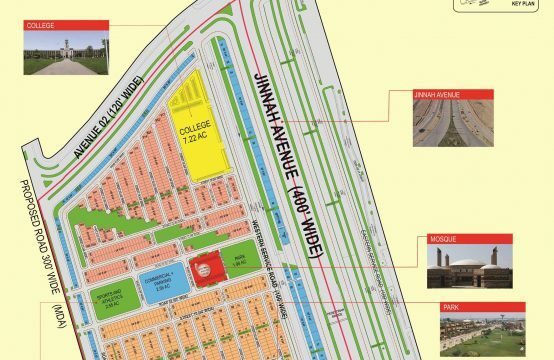 The master-planned project of Bahria Town Karachi is built on 45 precinct where each precinct has its own incredible and unique offerings attracting more and more buyers with every passing day. The city of Karachi is the hub of real estate in the country and the project of Bahria Town Karachi has added more value to it. The list of world class residential projects within the boundaries of Bahria Town Karachi is too long. Bahria Sports City Villas and Bahria Paradise Karachi are two of the most prominent projects. The latter one is designed on the theme of New York’s Central Park where the residents can enjoy their lives to the fullest. The future of Bahria Town Karachi is safer and brighter as more and more investors seem interested to buy properties in this project. Due to all amenities of a modern and luxury lifestyle being offered in Bahria Town Karachi such as Advanced Security, Gold-Class cinemas, State-of-the-art sports facilities, International standard hospital, International theme park, 100 % backup power, 5-star international hotel & USGA standard golf course, Pakistan’s largest shopping mall, and much more. Get yourself any of the properties under construction within Bahria Town Karachi for investment purpose or to live yourself on the land. Uplift your lifestyle when you buy a property in Bahria Town Karachi. The future of Bahria Town Karachi is bright, now is the time for you to make yours bright.